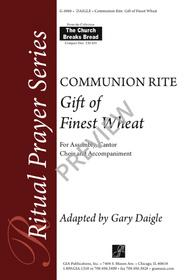 Communion Rite. Composed by Robert Kreutz (1922-). Arranged by Gary Daigle. Ritual Prayer. 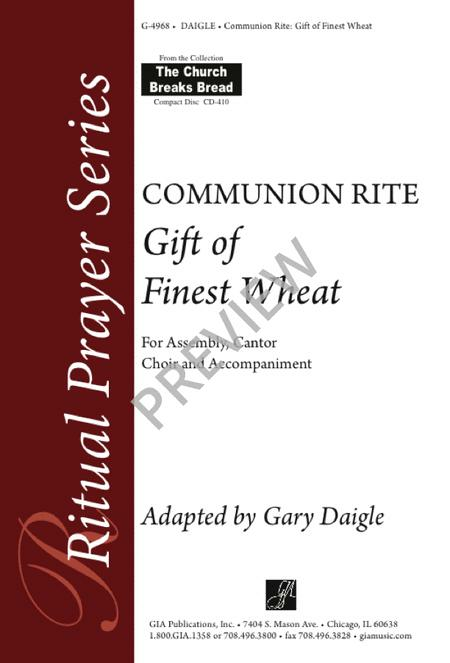 Tune Name: Gift Of Finest Wheat. Sacred. Octavo. With guitar chord names. 8 pages. GIA Publications #4968. Published by GIA Publications (GI.G-4968).